We've got GREAT Live Entertainment 7 days a week! Good food, great fun, and the best in live entertainment inside and out - ALWAYS. Fun, family atmosphere by day, Great live music club by night, with the best view on the river. Come by boat or car OR see us online at hirams.com. DON'T MISS ALL THE GREAT NEW PERFORMERS AS WELL AS THE CAPTAIN'S FAVORITES! Capt. 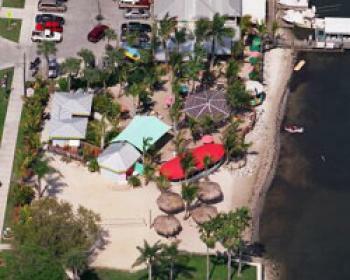 Hiram's Resort & The SandBar ... where you can be LAZY or CRAZY seven days a week, so why wait - pop in today! 3:30 PM - 7:30 PM Rock n Reggae @Capt. Hiram's!! Relax in the sand to that Sweet Reggae Music! Jeff Marquis Rock n Reggae @Capt. Hiram's!! Relax in the sand to the Sweet Reggae Music! 6:00 PM - 10:00 PM Wednesday evening with The Tree Frogs The Tree Frogs We will be playing some great classic tunes from the '60s & '70s! Don't forget to bring your friends! 3:30 PM - 7:30 PM Rock n Reggae @Capt. Hiram's Jeff Marquis Rock n Reggae @Capt. Hiram's!! Relax in the sand to the Sweet Reggae Music! 3:30 PM - 7:30 PM Friday afternoon with The Tree Frogs The Tree Frogs We will be playing some great classic tunes from the '60s & '70s! Don't forget to bring your friends! 6:00 PM - 10:00 PM Rock n Reggae @Capt. Hiram's Jeff Marquis Rock n Reggae @Capt. Hiram's!! Relax in the sand to the Sweet Reggae Music! 3:30 PM - 7:30 PM Saturday afternoon with The Tree Frogs The Tree Frogs We will be playing some great classic tunes from the '60s & '70s! Don't forget to bring your friends!